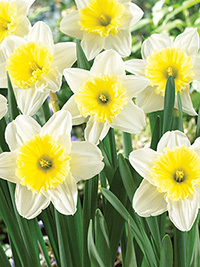 Soft yellow centre matures to pale cream. A well-known and hardy garden favourite. Early spring flowering, 45cm tall.